Home » Women from countryside around Basel. 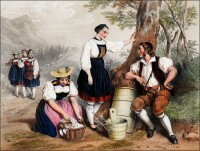 Women from countryside around Basel. 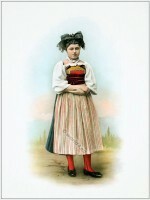 Switzerland folk costume. Costume nationale suisse des 22 cantons. 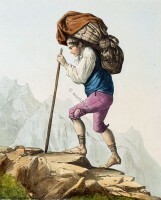 Dessiné par Louis Lassalle, illustrator. S. Morel; Imprimerie Lemercier, Geneve; Paris, 1865. 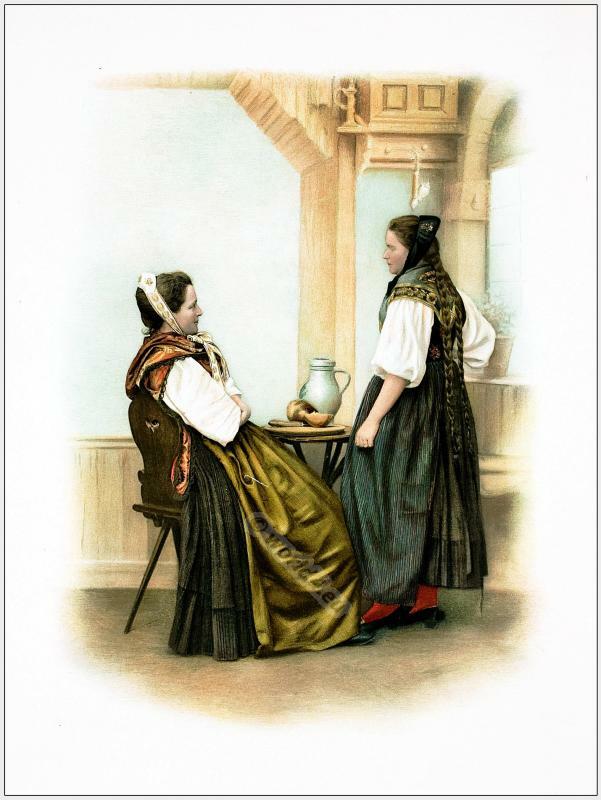 Traditional woman costume with Apron from Bordeaux. Traditional Dutch costumes from Huizen. This entry was posted in 19th Century, Switzerland, Traditional and tagged Canton of Basel, Traditional Switzerland costumes on 8/18/13 by world4.